A detail of William Monaghan's Untitled, 2017. There are few US cities more familiar with migration, environmental catastrophe, industrial development and its postindustrial collapse than New Orleans. 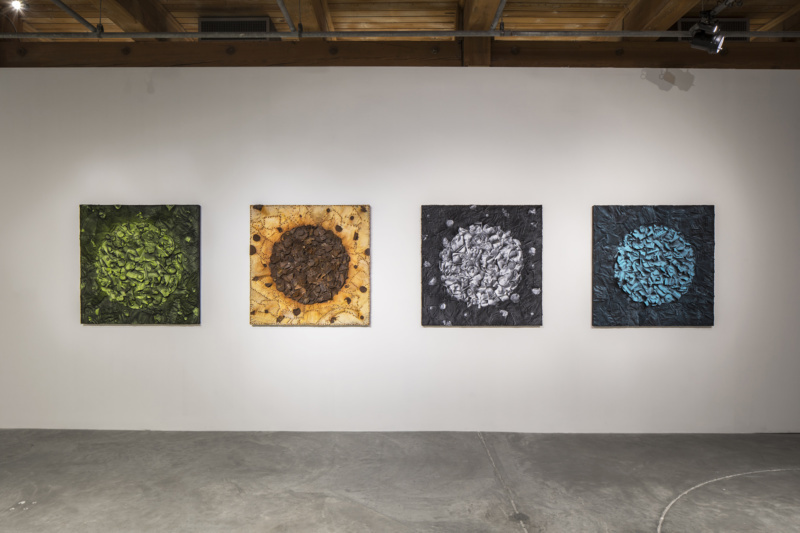 William Monaghan, born in the Crescent City, has consistently brought the materials of industry into his hybrid sculptural-painterly reliefs. His exhibition “I–Object,” on view through February 10 at the Contemporary Art Center of New Orleans, brings together two eras of his practice separated by forty years. Using the historical materials of labor, Monaghan elegizes the hopes and failures of the modern manufacturing era. 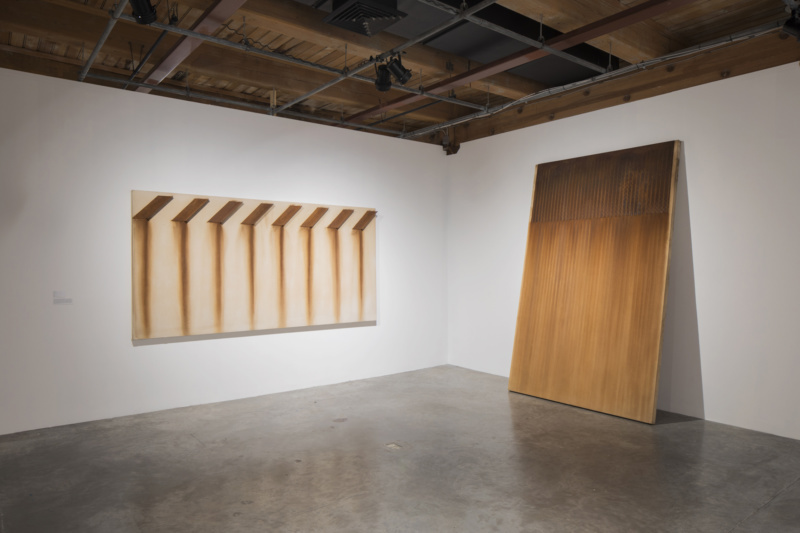 William Monaghan, I—Object, Contemporary Art Center, 2018 (Installation View). Monaghan showed many of these canvases in his first museum exhibition at the ICA Boston in 1975. Three decades later, he came back to New Orleans under emergency conditions during Hurricane Katrina. He describes “crouching under the screaming blades of rescue helicopters, wading through floodwaters and debris, surrounded by shattered buildings, losing my family home, tearing down others.” With his daughter Tess, Monaghan started the nonprofit Build Now, which has constructed built 130 homes to date and provided shelter to over 500 people in the city. “The battle to rebuild houses post-Katrina encompassed a disorienting frantic drama that now lives in my art,” he says.